Register your trademark name with any of the new domain extensions! If you are a trademark-holder, you get the first shot at procuring your desired Domain Names. Simply enter your SMD file to claim your trademark in your chosen extensions! What is an SMD file? To register Domains in Sunrise, you must first register your Trademark with the Trademark Clearing House (TMCH). Once successfully verified, you will receive an SMD file that you can use to claim your desired Domain Names. When a new generic top-level domain (gTLD) extension launches, there's a short period where domain names can not be registered by everyone, but only by those who have a trademark for the term they wish to register. This ensures that trademark holders can secure their names and safeguard them against malicious registrations. The Sunrise period for a new TLD lasts from 30 to 60 days, after which all names in that TLD are available for anyone to register. Q. How do I register my trademark domain name in Sunrise? Q. What is the Trademark Clearinghouse? The trademark clearinghouse (TMCH) is a database of verified trademarks that are already registered with the appropriate trademark offices. It provides trademark holders a single point of access to be able to register their domain name with any new gTLDs that launch in the future. Apart from offering Sunrise registration support, the TMCH also offers a trademark claims service that helps trademark holders monitor any attempts to register domain names that may contain their trademark. Q. How can I get my trademark registered in the TMCH? Q. What are the costs for registering domain names in the Sunrise period? The fees for registering your trademark with the TMCH are described here. These fees are not included in the price of the domain name being registered. The registration price may vary depending on the domain name, and may include a non-refundable application fee. Q. Is Sunrise registration the same as pre-ordering? No. Unlike pre-ordering, Sunrise is a definitive registration process which assures the trademark holder that their domain name registration request will be taken up before any one else without a trademark attempts to register the name. Q. What happens if someone else also places a registration request during Sunrise? If multiple trademark-holders place a request for the same domain name, the registry may put the domain name to an auction, where the highest bidder will be allowed to register the name. 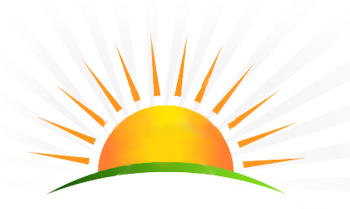 Placing your Sunrise registration request is essential to take your place in the auction. Q. Can I register my trademark domain name after the Sunrise period for an extension is over? After the Sunrise phase is over, trademark holders do not get any preferential treatment for registration of their domain name. So, you may not be able to register the name if anyone else beats you to it, even if they don't have a trademark. If you would like to secure your name against a particular TLD or TLDs, you should do so in the Sunrise period itself. Q. I've paid for my Sunrise domain name and completed the process. When can I start using my domain name? Most registries tend to allocate Sunrise domain names at the end of the Sunrise period, typically before general availability begins for the gTLD. As soon as the registry allocates the domain name, we shall alert you about it and you can then begin using the name.